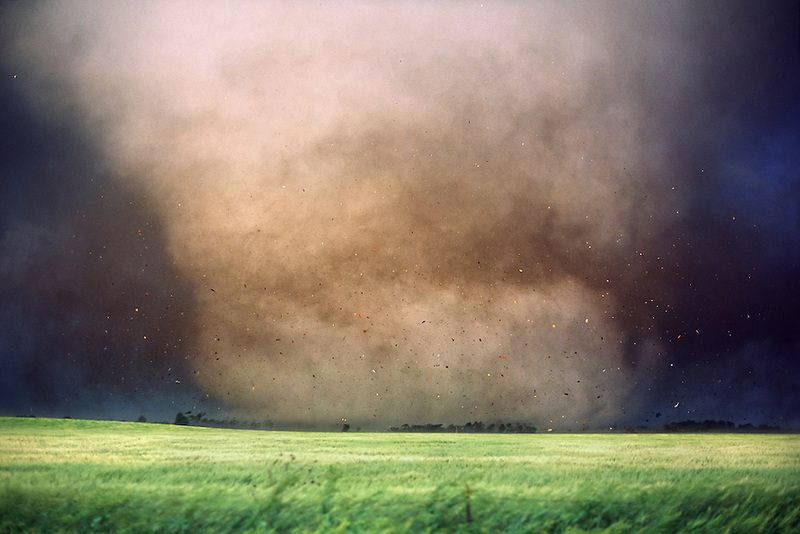 Debris flies as a large destructive tornado strikes Manchester South Dakota on June 24th, 2003. The town was totally destroyed and never rebuilt. This storm was part of the largest single-day outbreak of tornadoes in South Dakota history.